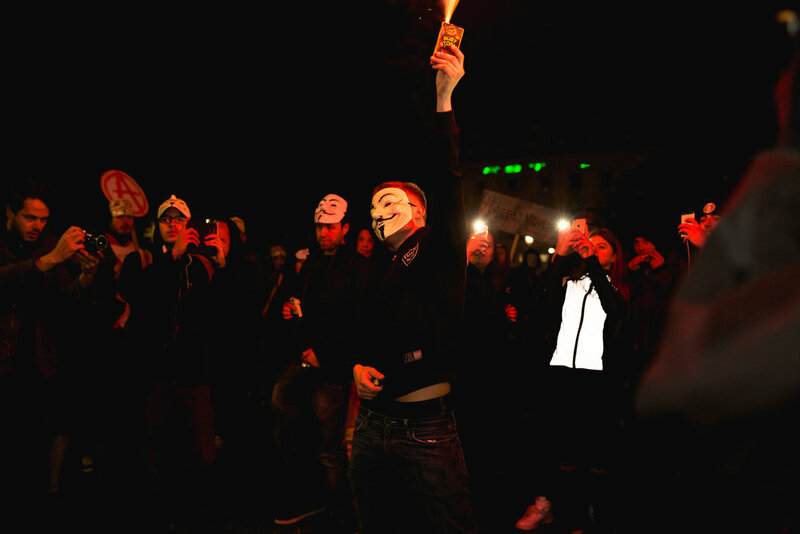 Wearing characteristic Guy Fawkes masks, supporters of hacking collective Anonymous crowded into Trafalgar Square with scores of police on hand to keep order. 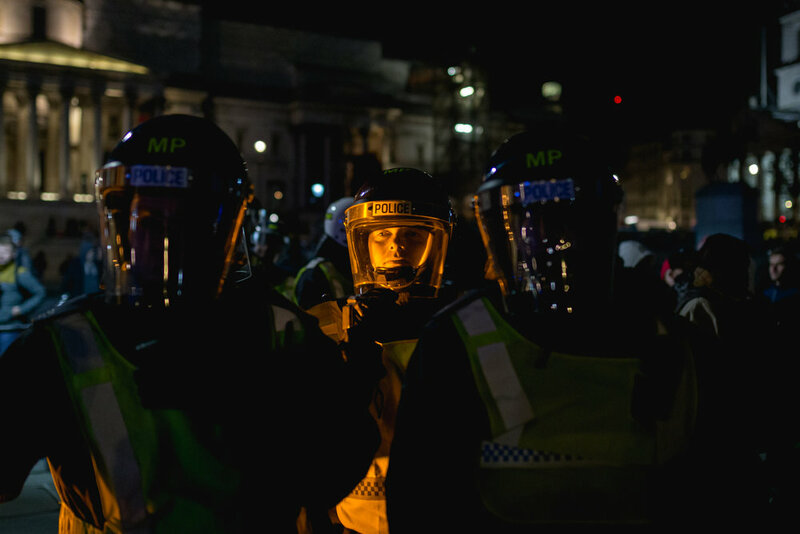 The protest passed off without major incident, though by 10.45pm police had made 47 arrests. 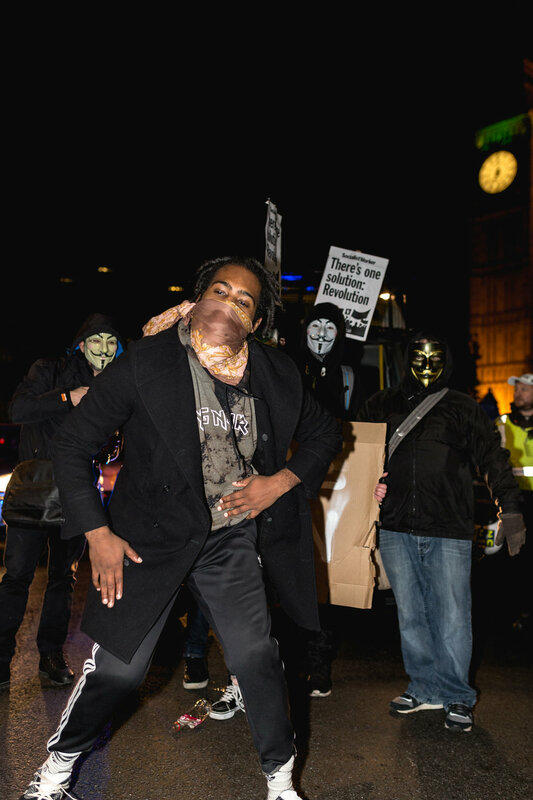 The protest began peacefully, with several participants climbing the base of Nelson’s column and chanting the slogan “one solution, revolution”. 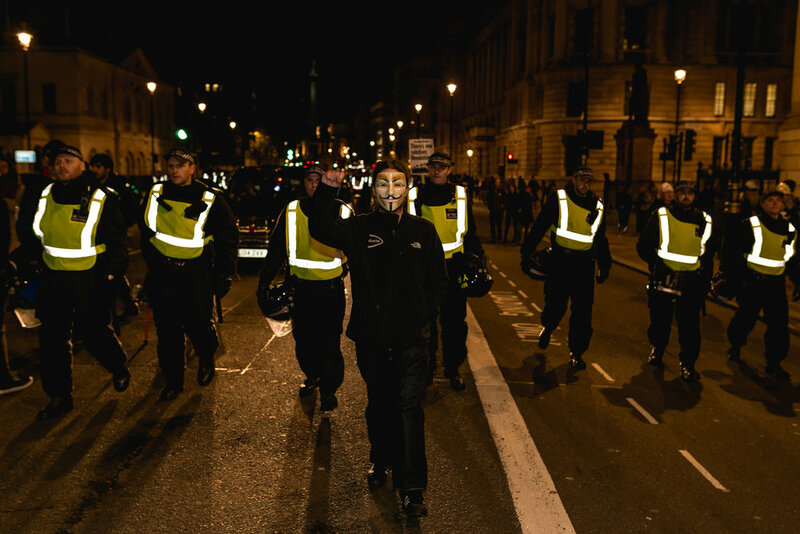 The procession headed along Whitehall and there were angry scenes as police formed a ring of steel outside parliament. 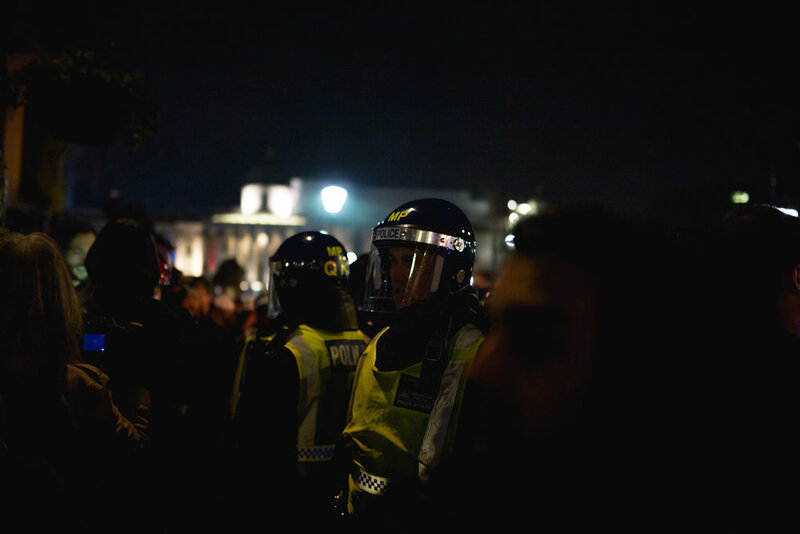 There was a large police presence outside the Houses of Parliament and demonstrators were told to stay within the agreed boundaries as the march moved forward. 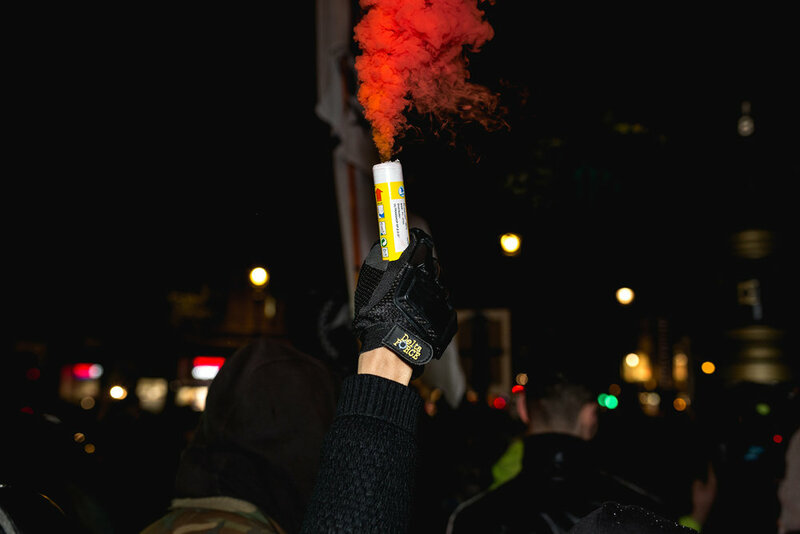 There were "pockets of disorder" and a number of fireworks were thrown, although the Met said most participants in the march were peaceful and there had been no "need for containment". 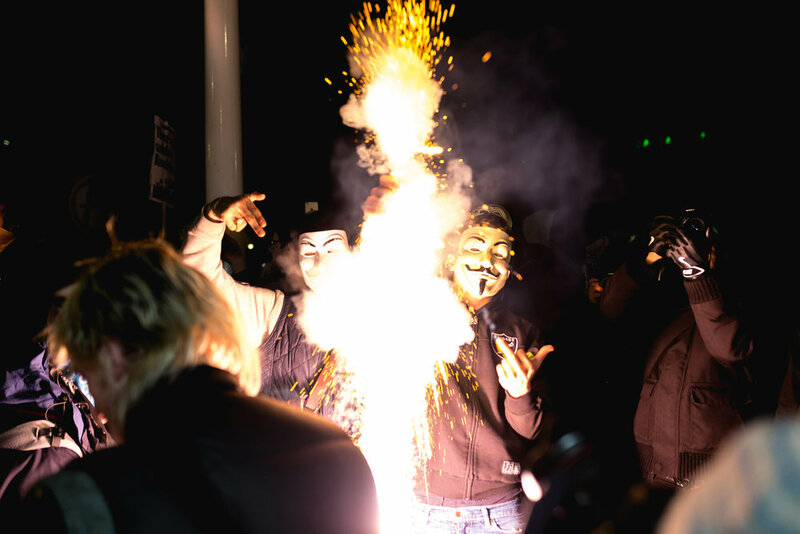 Words The Guardian.